CodeCompare is a powerful file and folder comparison tool that demonstrates new level of code comparison. Advanced comparison approaches, which consider the peculiarities of different programming languages, make a significant advantage in code comparing. Unique Visual Studio integration helps to make all of the development and merging operations within one environment. 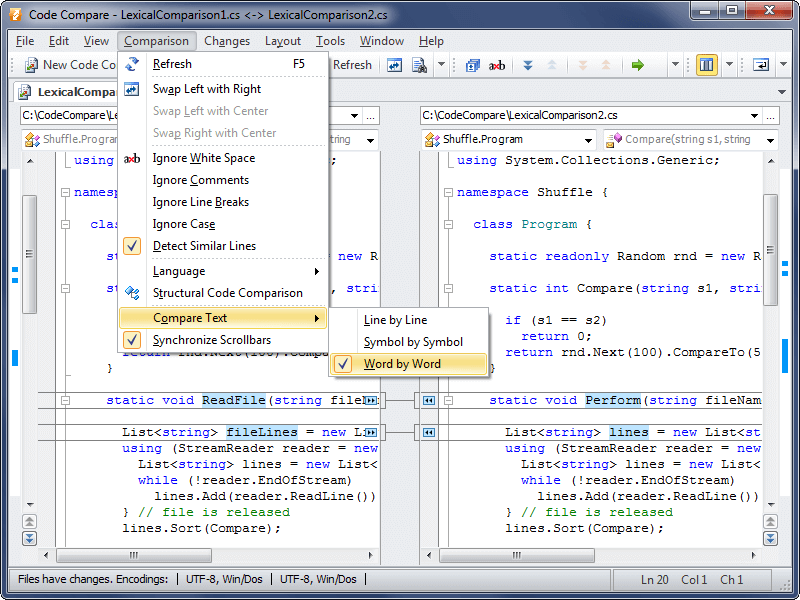 CodeCompare can be used as Visual Studio add-in and as standalone application.